My friend Gayle and I have just spent a lovely afternoon visiting Garner and his lovely wife Grace. The reason for the visit was to interview Garner for our “From the Pews” column. Gayle rang the bell. Garner opened the door and we were received graciously into their home. It was obvious when we stepped across the threshold that a warm and comfortable love lives here. Garner embraced my friend and led her into the dining room where Grace was working a jigsaw puzzle. I followed along behind and observed the wonder of a roomful of love where these three friends began an animated conversation. Somehow it seems to me that the environment and atmosphere of this love-filled home must be explored briefly. Garner and Grace have reached their golden years together. Their home is a beautiful collage of life. Every room contains artifacts from the four corners. For twenty years they circled the world. Garner served as a cruise ship pastor. His ship became his parish, the passengers and crew members became his congregation, and works of art came home as souvenirs of their ministry of love. “Dale, I love peanut brittle and a good thriller novel to relax. My passion is writing thrillers. When I am caught up in a story I am there. The characters and places are alive in my imagination, and they become so real that I can hardly let go of them. Right now I am working with Jan Stevens—an excellent teacher and editor. I want to perfect my writing style. I guess my favorite thing about writing is the research. Jan is helping me transform that research into more relatable stories. My dad migrated to the United States from England as a teenager, and my mom was a Pennsylvania farm girl. He was Presbyterian and she a Baptist. They met at seminary where their romance bloomed. The long and short of it is they married. My father became a minister and my mother built herself a career in writing children’s books and curriculum for Sunday schools. Often after supper she gathered me and my sister into the living room where she read her stories to us. If we liked them, she sent them off to the publisher. Dale, I am getting ahead of myself and would like to back up a bit to a couple more childhood stories. Mom and Dad were from different worlds and had different notions about money. They were in that first generation of two-income families and Mom actually made more money that Dad. I think their solution was ingenious. They made a list marked: male and female. Dad paid for the male side of the list and Mom took care of the female part of the ledger. Problem solved. Again, we are in my childhood. 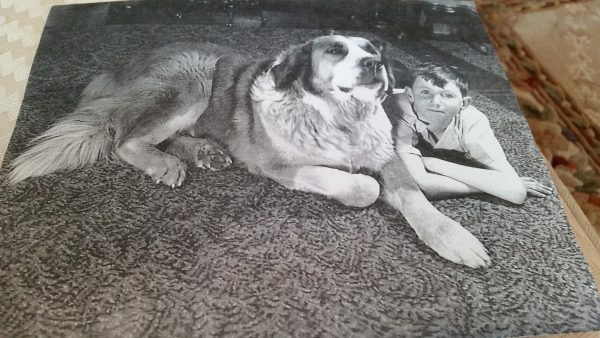 I had a dog—not an ordinary dog, but a giant St. Bernard named Dagwood. It was a family vacation and all of us including Dagwood were enjoying the wilderness. Our rented cabin was on a pristine lake and we had access to a row boat, so Dagwood was locked up in the cabin and Dad was rowing us across the lake. Suddenly this huge animal came splashing across the water. Dagwood had crashed through the screen door and true to his breeding had swam out determined to rescue us. Imagine if you can the mayhem that ensued as we tried to pull Dagwood into the boat without capsizing! Gayle and I left this home thirsting for more stories about this remarkable couple and their adventures. 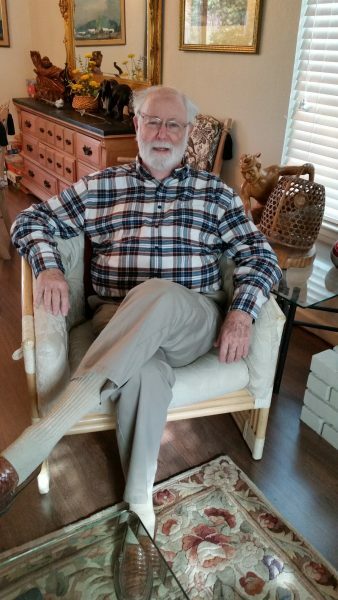 I have always admired Garner Odell and this article underscores why…. It took a great deal of courage and determination to work for civil rights in such a fearful condition. It makes my heart race and my blood pressure rise just trying to imagine how terrifying that would have been. But that is the Garner Odell I know. A man of solid principle and conviction. I’m proud to know him and call him my friend. Dale, you left me wanting much more about Garner’s life experiences. I do hope you will consider a continuance of his story. Grace and Garner are such lovely people. Thanks for choosing to write a segment of their life. Garner has had an incredibly adventurous life. I’m so glad, Dale, that you brought it to life in your writing.